In a Nutshell: Many established small- and medium-sized businesses still cannot qualify for business credit cards because of strict application requirements that demand high revenue or good personal credit history. Customers use Bento prepaid debit cards to replace company credit cards, reimbursement checks, and cash. Bento’s cards don’t require a credit check and are pre-loaded with funds that can be assigned to granular categories including gas purchases, travel expenses, or employee luncheons, and only work for those purchases. Businesses can obtain multiple cards for different categories or issue them to individual employees or departments. All Bento cards are included in a single monthly subscription fee that covers the expense cards, management software, mobile app, reporting, and feature enhancements. The David-versus-Goliath nature of owning and operating a small- or medium-sized business comes with daunting tasks that have claimed the sanity of more than one entrepreneur. Not only are these businesses in constant competition with larger, better-funded operations, but the process of tracking employee spending and remaining on a budget can require time and involve paperwork that no business owner has. Business credit cards, for all of the conveniences they bring, aren’t perfect in their abilities to limit unauthorized spending — that employee trip to fill up the company car with gas can lead to a few extra purchases along the way or a drink and some snacks at the gas station. Those expenses add up over time. And that’s if your company even qualifies for a business credit card. Lou Friedmann, Chief Revenue Officer at Bento, places the number of businesses that do not qualify for a business credit card is more than 75%. That number includes both small and larger businesses with a more established history of success that are not in commercial databases or do not meet credit history requirements. Bento created its Mastercard-issued Bento for Business prepaid debit card with those businesses in mind. For a single monthly subscription fee, businesses can receive multiple reloadable cards, each tied to a business or personal checking account. The debit cards have a host of options to control spending so only approved transactions are made with the card. Think of Bento as the Swiss army knife of expense cards. The product can be assigned to a specific use, such as employee lunches, and limits can be set that are specific to that use. Businesses can obtain multiple cards for use within individual categories to better manage employee spending. The card can be turned on and off instantly and set to work on very granular conditions like specific days of the week. “It doesn’t have the same rules as a credit card because it’s all administered by someone in the company who loads the money in, like a checking account, and controls the spending through limits and controls and also keeps the account active by depositing money into the account,” Friedmann said. 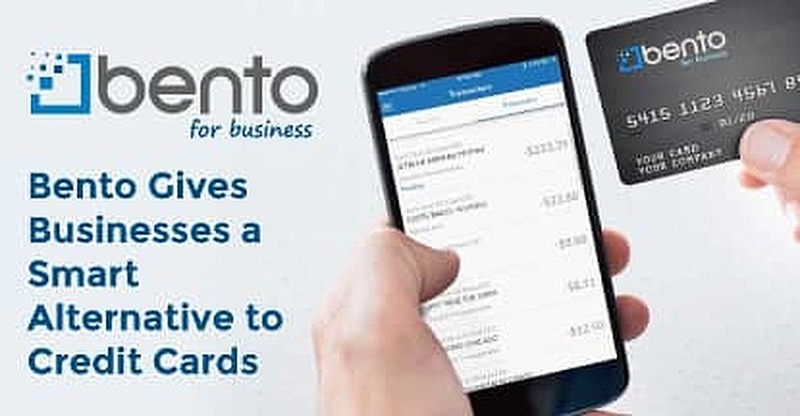 Since 2014, Bento for Business has grown in popularity among construction firms, fleets, healthcare organizations, nonprofits, and other businesses because it limits spending to the balance on the card, which streamlines the expense-tracking process. Bento currently has thousands of active account holders across the US. “All of our clients use the cards to prevent overspending by employees, which is something every business experiences with a credit card,” Friedmann said. Friedmann said the majority of applicants are approved without needing to provide additional documentation — none of which affects personal credit. 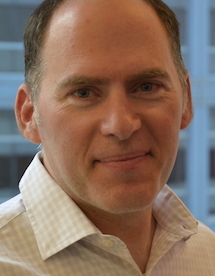 Lou Friedmann is Chief Revenue Officer at Bento. Once approved, Bento users can choose the pricing tier that best suits their business needs. Each tier has an associated monthly subscription fee that is waived if the user spends at least $20,000 each month using their Bento cards. The other big difference between the tier levels is the number of cards available per account. All cards come with no setup fees and include a 60-day free trial. The Team tier allows up to 10 cards or admins per account for $29 per month. The most popular plan is the Professional tier, which allocates up to 25 cards or admins for $69 per month. The top tier, the Enterprise package, charges $149 each month for an unlimited number of cards or admins. All three tiers require no minimum or maximum funding per card. Once an account is established, users can fund their cards through ACH bank transfers or by wire transfer. Funds are available to use within two to three business days, though Friedmann said he often sees transfers made early on one day show up as available by the end of the following day. And unlike credit cards, no expense reports are needed since spending is limited to the card balance and fully tracked through the Bento software. Friedmann said Bento prevented unauthorized spending for a majority of its business customers in 2017, saving as much as 25% of the business’s annual expenditures. Administrators can keep tight control over expenses by assigning Bento debit cards to specific categories or days of the week. And they can turn cards on and off instantly without needing to call for technical support or customer assistance. The category settings for each card can be as granular as fuel purchases only, meaning the card will work for gas at the pump but be declined if there is an attempt to use it to purchase snacks or other items inside the gas station. “Positive things happen to spending decisions when a cardholder knows they have a strict budget enforced at every purchase, compared to having a company credit card with fewer constraints or ways stop the point of purchase,” Friedmann said. Even if your company qualifies for a business credit card, there are risks associated with making that card available to just any employee. At the same time, the fees and interest rates associated with some credit cards can decrease their value to most businesses. Bento can replace a company credit card, and be a solution that business owners can turn to fund specific operational expenses like business trips or company luncheons, or materials, shipping and events. According to Friedmann, companies save money when they adopt the Bento method of compartmentalized and controlled spending for one monthly fee (which can be eliminated if a company spends more than $20,000 per month). That savings can go a long way for small- and medium-sized businesses that want to increase their market share without taking on more debt than is necessary. Because, in today’s business world, it takes more than a slingshot to take down Goliath.